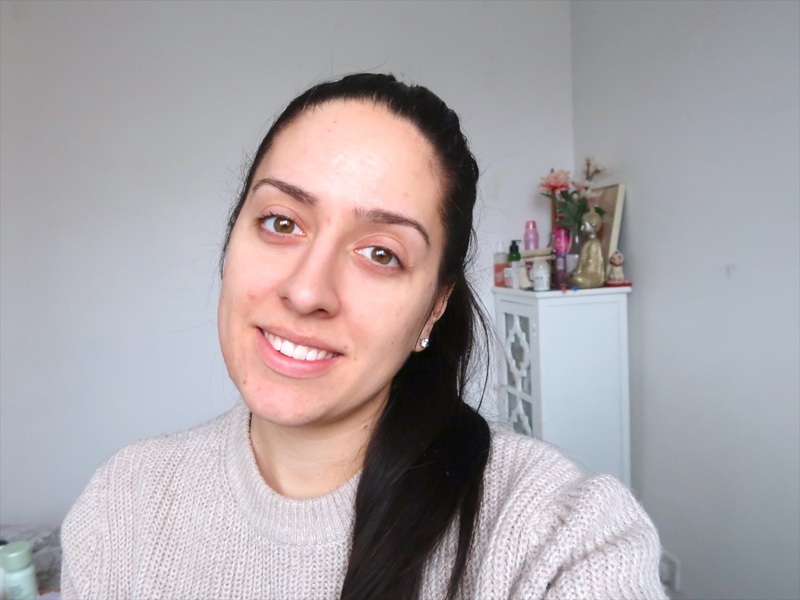 My skin has never been my best asset, it's always something that I have hidden under makeup or hated showing to people other than my family and close friends. My skin has made me feel ugly, has brought me tears and has shown me every medication possible for acne. I have to be honest, I didn't ever have cystic acne or my whole face covered in spots, however I did have enough to cause a lack of self confidence. It felt like my bad skin was never going away, and I'd almost learnt to accept that, that was the way it was. As of the past 4 months or so, my skin has taken a turn for the better. Now a breakout only appears on my face every once in a while - usually near that time of the month, thanks Mother Nature! And although I can't say that my current skincare routine definitely solved my skin problems, I think it definitely has played a big part in the clearing of it. I bought this face wash on a bit of a whim, I saw that it had salicylic acid in it and thought what better way to get rid of spots than to use this genius ingredient. 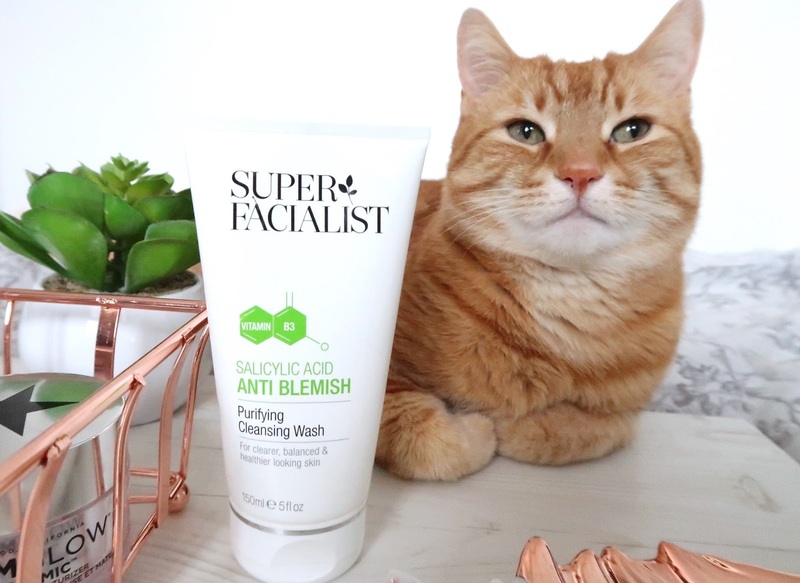 It is an affordable face wash, and is always on offer in Boots. For those of you that don't know, Salicylic acid helps with both blackheads and whiteheads as it can remove the skin debris that clogs the pores and causes these. I think it's fairly obvious that I'm a fan of salicylic acid, and when I don't use this toner I can really see it in my skin. 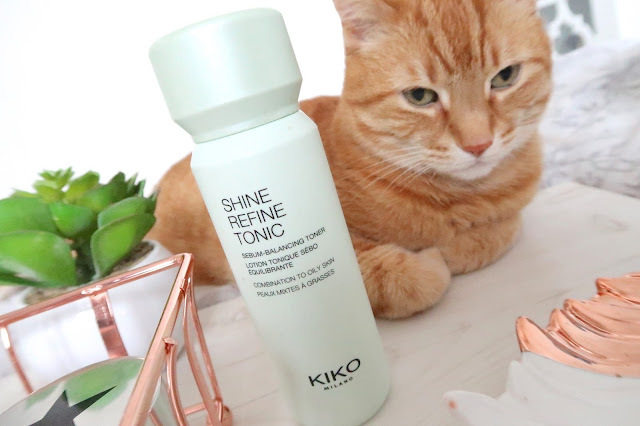 I think this toner might be the star of the show in my skincare routine, and again this was an out of nowhere purchase whilst I was browsing the KIKO store. Although this toner works out as a kind of pricey purchase for what it is, I absolutely love how it makes my skin look and feel that I will continue to purchase it. A little while back I worked with NSPA to promote this skincare range, including the serum and the day cream. As a blogger and a YouTuber I'm lucky to receive products from companies, and this was one of those. I was really pleased to use this as it is, again, an inexpensive product that doesn't test on animals, but does wonders for the skin. The consistency is definitely more for someone with normal to oily skin, as it is more of a gel moisturiser than a cream. 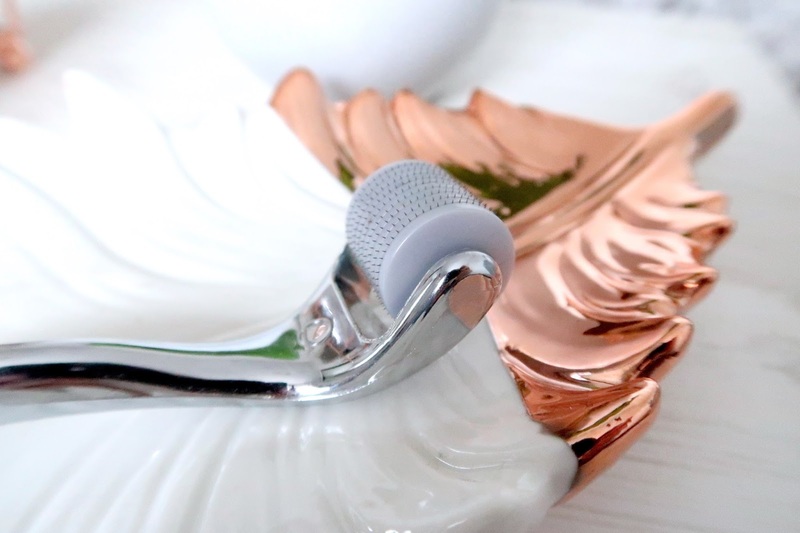 It sinks into the skin really quickly, and allows your skin to feel fully moisturised, but not oily. I'm a little bit ashamed to admit that I bought this based off of the smell of the product. 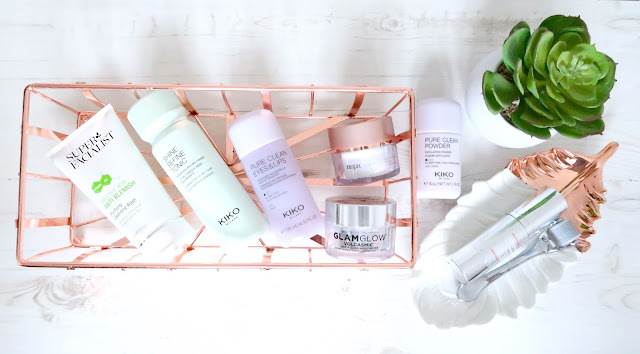 I was waiting for the boyfriend to pay for his products in Boots, and whilst I was there I couldn't help but want to play with the new glamglow products that had appeared. I picked this one up as it was perfect for my skin type, and then the smell! I didn't buy it there and then, but I continued to smell it on my hand throughout the rest of the day, and had pretty much decided by the next day that I needed wanted it. I've crossed out needed above, but now I use it every morning I would say that I do need it in my skincare routine. 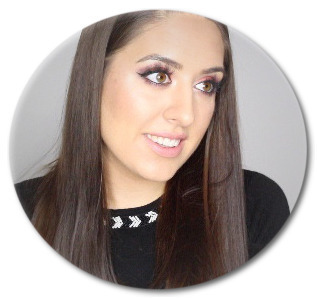 It is the perfect base, keeping my skin moisturised enough to keep a lot of oil at bay, but it soaks in enough to work as a perfect base for my makeup. 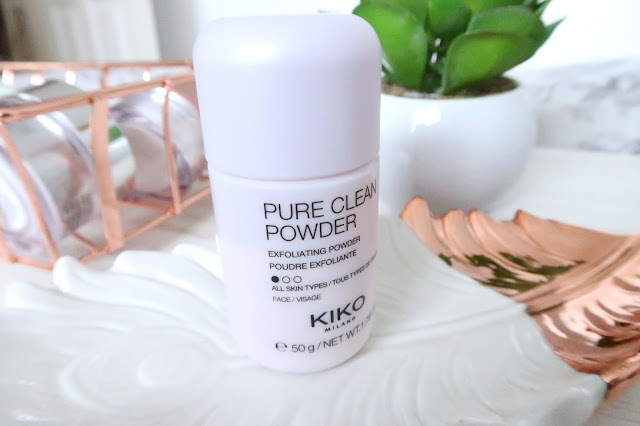 This was a completely new product to my skincare routine when I got this, and it was something that I was a little bit nervous to try - just look at the name! Once I had managed to overcome my little fear, and trialled it on my hand first, I plucked up the courage to give this a go. Every time I use this Jack knows, he will always ask me if I have used it because my skin looks so lovely after use. I will say, you do have to use this on an evening, because it can leave your skin a little bit red (this is gone once you wake up). Also, this allows your skin the best time to heal, as during your sleep your body can really focus on healing and getting better. - It reduces fine lines. - It helps reduce the appearance of marks and scars. - It encourages collagen production due to the tiny little puncture wounds that aren't visible to the eye. - Improves the texture of skin. Just to explain, I use the face wash on an evening (if I'm wearing makeup I wash my face twice), I will then follow this with my toner and my moisturiser - if you're wondering where the eye cream is, I still haven't found one that works for me, but if you have any recommendations please send them my way! In the morning, I splash my face with cold water and allow that to wake me up, I then apply my GlamGlow moisturiser in preparation for the day, makeup or no makeup. I use the Swiss Clinic Roller once or twice a week, and I like to roll it in multiple directions across my face to ensure that no space is missed. This is normally on different nights to the once or twice that I exfoliate my face using the KIKO Powder Exfoliator. Here is the status of my skin as I write this post, no makeup and no filters... pretty good hey! And that's it, my skincare routine all laid out for you. Let me know what you think, and if you are interested in any of the products.